Best techniques of working with gold, platinum, copper, brass, steel, plaster and more. "Surprisingly comprehensive."�N.Y. Times. "A gem of a handbook. "�Whole Earth Catalog. 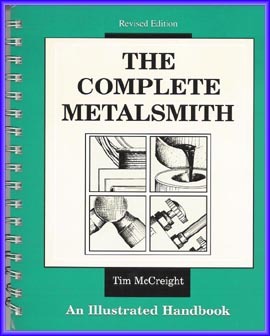 "No metalsmith or jewelry maker is 'complete' without this easy-to-use resource. "�Lapidary Journal. 208 pages, 2500 b/w illus., 7 3/8 X 9 1/8.